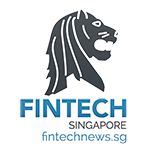 Prudential has selected three fintech startups Kyckr, Moxtra and Sqreem for its inaugural cycle of the PRU Fintegrate Partnership programme. Each of the three startups will go on to work with Prudential mentors and business teams to develop a proof-of-concept for their proposed solutions. Kyckr, Moxtra, and Sqreem were chosen from a shortlist of six finalists based on their unique value proposition, alignment with Prudential’s strategy and business requirements, and their potential to deliver a pilot successfully. This year’s programme participants were challenged with addressing one of the 19 insurance-related problem statements selected by Prudential from Singapore’s 2017 Global Fintech Hackcelerator. The statements cover areas such as customer engagement, financial inclusion, Regtech and other financial categories. The induction into the PRU Fintegrate Programme is the second win for Moxtra and Sqreem in less than a week. They were both recently honoured as winners of the Global Fintech Hackcelerator at the Singapore Fintech Festival (SFF) on 16 November 2017. Mr. Wilf Blackburn, Chief Executive Officer of Prudential Singapore said Prudential remains committed to fostering greater innovation in the industry through partnership efforts with fintechs. Prudential was a mentor to fintechs participating in the Global Fintech Hackcelerator and a Grand Sponsor in the 2017 edition of the SFF. The company continues to contribute to the development and growth of the financial ecosystem with its five-year commitment to be an SFF Grand Sponsor from 2018 to 2022. 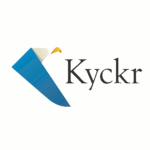 Kyckr aids companies in an increasingly complex regulatory space by providing the building blocks to ensure compliance. It has developed Application Programming Interfaces (APIs) and cloud based decision engines for best-in-class Know Your Customer (KYC) due diligence and customer on-boarding. 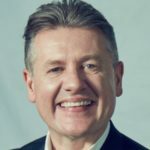 In addition, Kyckr has created a global network providing unique real-time access to over 80 million legal entities, from over 190 business registers in 88 countries. 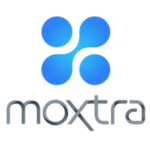 Founded by the team that built WebEx, Moxtra helps organisations integrate secure messaging, rich document collaboration and real-time interactions into their business workflows to enhance productivity and to help them engage with remote employees and customers. 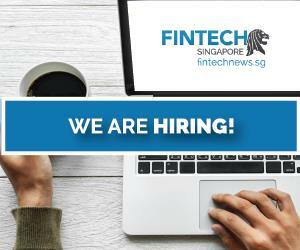 The company is a winner of the Global Fintech Hackcelerator at the 2017 Singapore Fintech Festival. Through on-demand artificial intelligence and cognitive learning, Sqreem helps organisations identfiy and understand the unknown unknowns. 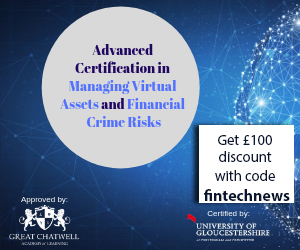 It is the market’s only nonlinear pattern recognition technology using signals-intelligence algorithms allowing organisations to identify links and associations among vast, unstructured digital activities across any platform. 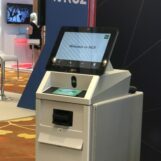 The company is a winner of the Global Fintech Hackcelerator at the 2017 Singapore Fintech Festival. The PRU Fintegrate Partnership programme focuses on building innovative financial solutions, simple interfaces and seamless experiences for customers. It is a rapid deployment programme where startups are given the unique opportunity to build and to validate prototypes at scale and at speed. The programme provides a clear end-goal for selected startups as they may enter into a commercial engagement with Prudential, one of Singapore’s largest life insurers, as well as potentially draw on the firm’s global resources.